What games will be reviewed? Nintendo's been pretty quiet since Mr. Iwata's unfortunate passing, which is understandable of course. I'm curious what their plan is to regroup. Any chance we'll see some 2016 stuff or will they just focus on the end-of-year things? You know what's crazy? Once upon a time I was not a huge fan of the Directs. Now that they've been going on a while, though, AND been absent since Mr. Iwata left us, I have missed them terribly. I think Nintendo knew what they were doing with there. E3 be darned. 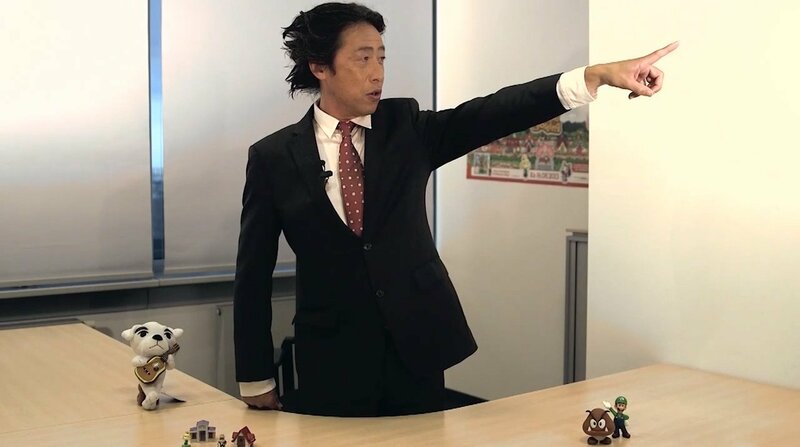 Only thing I know is that Shibata san is going to host the European Direct, so that's good. IF the rumors are true then this holiday season might be the last we see for Wii U. I don't want that to be the case but if so, I really hope they have something special planned for it. Haha, I'll be in Cancun when this happens! Wonder if/hope I'll have a chance to catch it in between margaritas on the beach :) ! Will they even mention NX? Zelda TPHD plz. Kinda sounds like that rumor about the Direct was correct. Could that mean Zelda Wii U getting an official title, TPHD, and Sunshine HD?? If they know what's good for them, they better leave "Wii" out of the console name. Also, are Skittles really that shocking? I bet they won't mention NX since the description of the Direct specifically notes its about upcoming Wii U and 3DS titles. I agree, they should have rebranded with the Wii U. Way too much consumer confusion with it all. My concern, given the Wii U's name and way they debuted it, is they DON'T know what's good for them, ha ha. That's what I'm saying, sadly. But time will tell, as it always does. I really do hope deep inside me that they learned that lesson. Also the skittles are not the shocking thing. The shock of them releasing the console in the same year as announcing it is what would expel the skittles out of me, you see. Safe to say they'll be announcing a new mainline Metroid game. Yeah, no NX or mobile news - but this is really nice to see. I'm hoping they announce online multiplayer for Star Fox. 12 player dogfights? Yes please. Should be interesting. I have no idea what direction they'll go in. I'm not expecting too much from it, anything meaty will just be a bonus. I'm even more interested in how the presentation style will be. Let's also remember to be a little lenient; Iwata's started good, some real highlights, but got even better quickly. In the investors meeting they claimed they still had some unannounced titles, so we may see one or more of those mentioned here. Twilight Princess HD seems likely to be something revealed here. I also expect some talk and footage of upcoming games like Xenoblade X, Mario Tennis Ultra Smash, Star Fox Zero, etc., possibly revealing some new details about those games. I believe they also said that this will be the final Nintendo Direct in its current form, and next year it will undergo a reformat and likely name change. Which would make sense, as these just won't be the same without Iwata. Yes! Right, they did say something about unannounced titles in that meeting. I won't get too excited but I will buy TP HD if that does come true. It might not be the right place to look back on Iwata's contributions but at the same time, maybe it is? It'd be really great if they devoted a bit of time to him within the Direct. Must be something big, since they've issued a lot of small news through press releases lately. Maybe the first mobile app, plus more details on upcoming console titles? The Smash Character Ballot ended over a month ago. I'm hoping (expecting) we'll get some information on how that turned out. I'm hoping there's a tribute to Iwata in some form in there. I'd also expect something about amiibo...the Smash line is basically done on Friday (aside from Lucas, Ryu, and Roy) and outside of the next wave of Animal Crossing and Shovel Knight, they've got to have something on the horizon. I think it's too early for that, possibly. I mean, you announce the NX this month and you're GOING to cannibalize a bunch of holiday Wii U sales. It would be a really, really stupid business move. I think, anyway. And I'd wager Nintendo's marketing department would agree, ha ha. New Smash characters, new Zelda footage, Rhythm Heaven 3DS localization announcement, small Iwata tribute.